There are many things different about the new site, so I thought I'd show some off. When you log in, the first thing you'll notice is the new user dropdown. In red are the number of notifications you have. You can go to your profile, notifications page, settings, or simply log out from here. The home page shows, in red, the latest from Antiford On Air, the Encyclopedia, and the two most recently updated Library pieces. In blue are a random piece from the Library, and a random entry from the Encyclopedia. The footer is now loaded with a bunch of useful links. In red are the internal links: the home page, registration (if logged out), a page to help new people get started, the legal documents, and the about page. In blue are the external links: the Facebook, Google+, Steampunk Empire, and Google Calendar. In purple are "mailto:" email links. 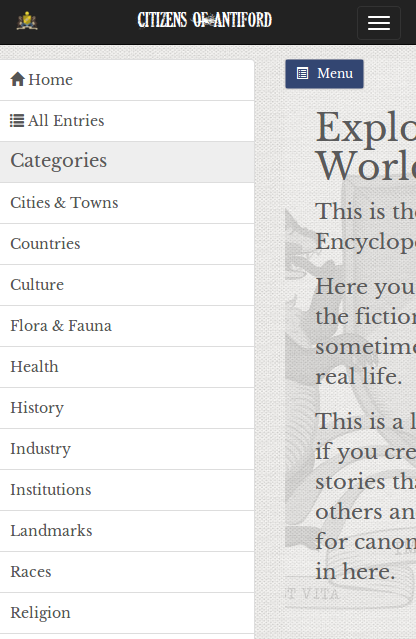 When browsing the Library, you can now filter the list on four criteria, Last Updated, Author, Type of Piece, and Label. 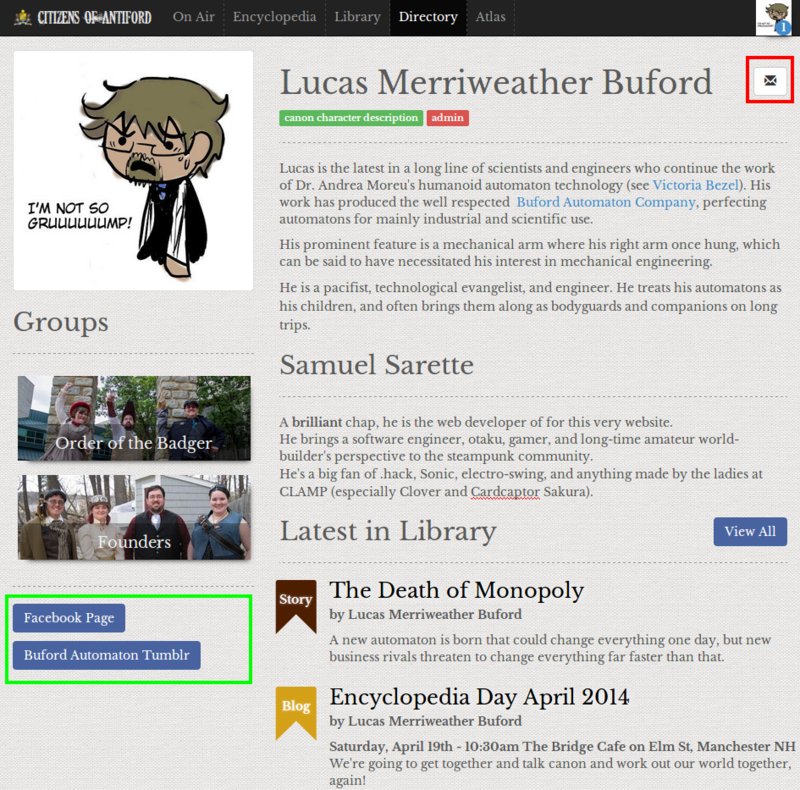 You can get to your list of works without published content by choosing "My Unpublished" in the Author filter. 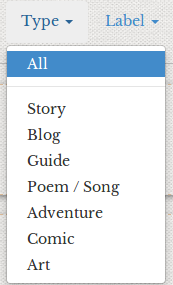 Also, the author filter has a text input, which you can use to search and select by character name. When reading in the library, there are some new things to note. In grey is the story type, now a shortcut to browse all stories of that type. In red, you'll see the story abstract. This used to be only shown while browsing, but user feedback has suggested that people wanted this to be on the story page, too. In green, we have text controls, allowing us to change the font and size of the text within the piece. 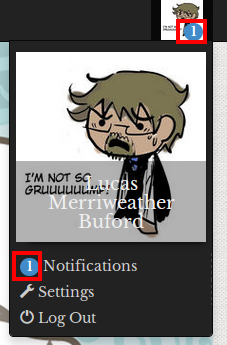 In blue, we have some extra story buttons. The play icon, shown on browsers that support this feature, will activate Text-to-Speech on the current part. The book icon will download the piece as an ePub format, readable by any eReader or eReader software, such as Kindle or Nook. The printer icon will print the story. The speech bubble icon will scroll the page down to the comments section. In purple, we have hat tipping, described in the next page of this guide. The new editor can be seen everywhere, including the comments. You can now (shown in red) choose to comment on the whole piece, or just the current part. In yellow, I remind you that the fullscreen button exists on this editor. In green, on browsers that support it, a beta-quality Speech-to-Text button lies. In orange, I note the position of the post button. Shown in blue is a button to refresh the comments. We used to attempt this automatically, and all that "do we have new comments?" traffic didn't help with the Godaddy 503 errors. 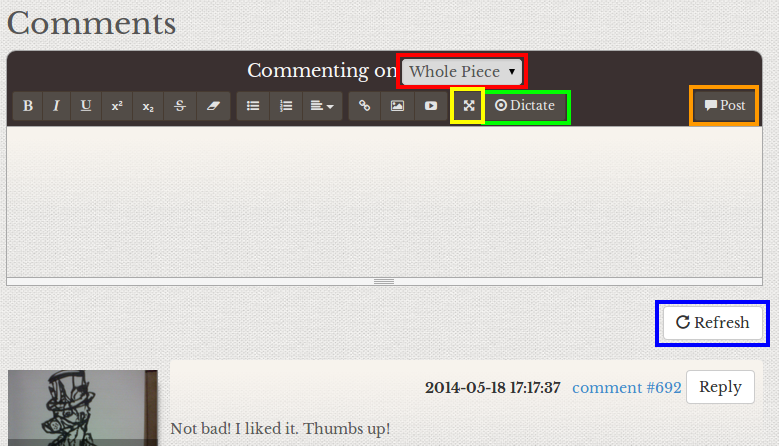 When you click to reply to a user, the "on piece / on current part" options are replaced with a "replying to" message and "X" button to go back to just commenting on the piece or part. 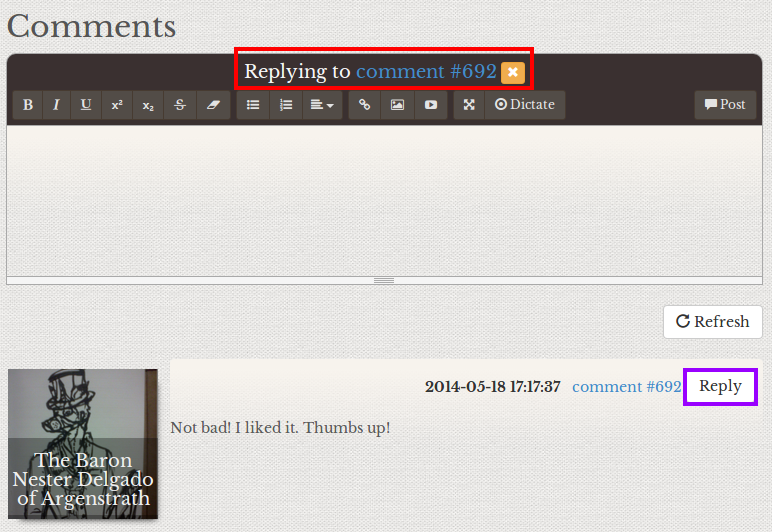 This is what it looks like when a poster has commented on a page. Other websites allow you to "up-vote" or "like" something. We tip our hats. The hat is untipped to start, and shows the number of citizen hat tippings, and guest hat-tippings. 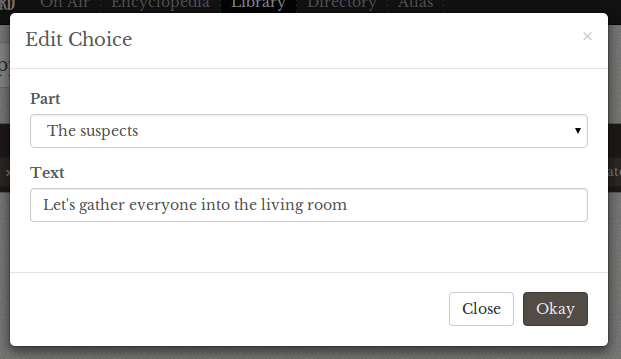 Once you've decided this library piece is quite nice, you may click the hat and add yourself to the hat tippers club. Click on the citizen hat-tipper count to see a listing of all those in the dapper club of showing support. 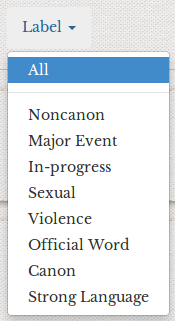 Adventure stories have seen improvements to it's editor options. 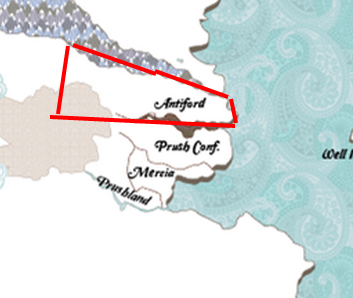 The following images are from the "edit part" page of an adventure story. The three highlighted buttons are to add, remove, and edit the choices presented at the end of that part. This is what the dialog to add or edit a choice looks like. In the image below, I'd like to point out two new things. Highlighted in red is the email button added if explicitly allowed by your privacy settings (not shown to logged out visitors). In green, you can see two buttons on my profile. 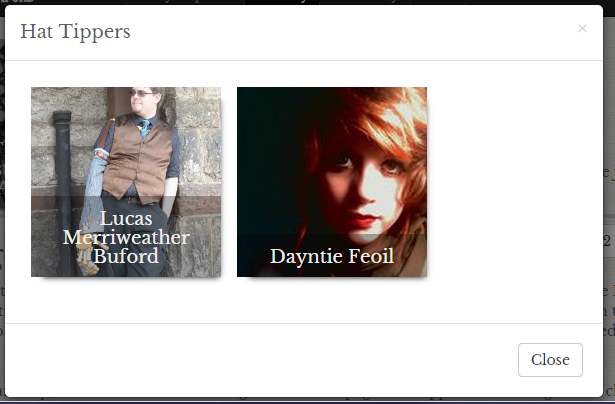 You can now add links to your profile, such as your character Facebook or Tumblr. On the previous version of the site, the navigation of the Encyclopedia didn't always work, so it was a major focus to get right. The new version is a button at the top-left that, when pushed, slides the page to the left to reveal the navigation. It works rather well. Although the atlas isn't a swishy, zoomable, google-map style beast like we aspire to, it doesn't mean it's a static thing without further information. 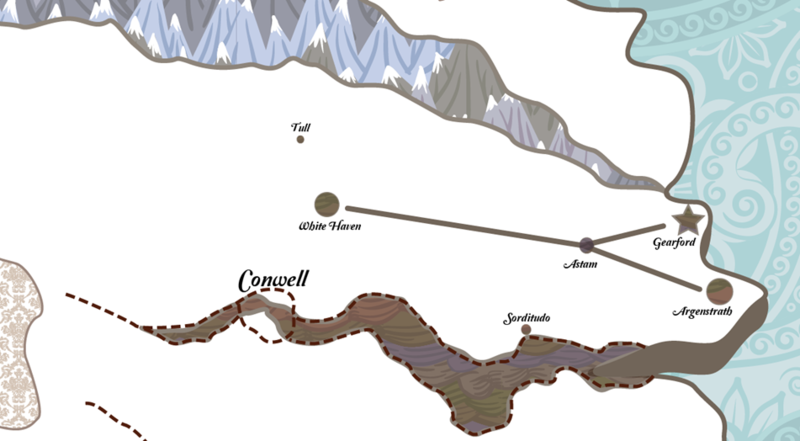 The atlas now has some links to more detailed maps, when available. 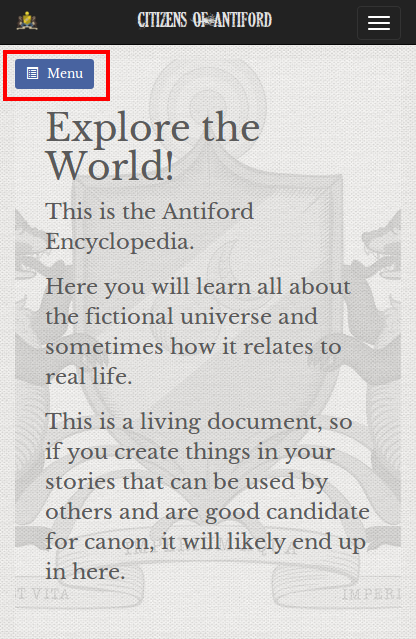 Clicking on Antiford, will give you the map of antiford. Hopefully the transition is smooth for everyone. There are many things I can't show screenshots for, but generally - we should be seeing a level of polish not seen before for our site. If there are any issues, don't hesitate to contact me either through personal channels (Facebook message) or the email link in the footer specifically for bugs. If you have any error messages or screenshots, please include them in your message, as it'll be far easier to diagnose than "it broke".